If you're not tired of hearing about The Big Sick yet, you haven't been paying attention. The amount of hype this movie has been getting seems unprecedented for a romantic comedy. I went into this expecting nothing short of a complete revival of the genre. First of all, the movie lacks the cheesiness present in so many rom-coms, perhaps it's because the story is based on actual events. So instead of relying on contrived interactions or wacky characters for laughs, the jokes feel naturally funny. And by natural, I mean the jokes arise out of believable, awkward situations - just like real life. In a way, it's a little reminiscent of My Big Fat Greek Wedding in that it centers around the strain of defying familial expectations and an unapproved relationship. 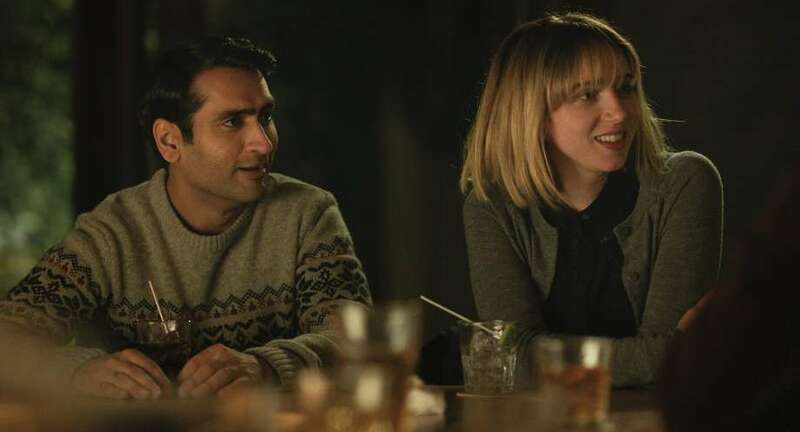 Where it differs, however, is instead of amping up cultural stereotypes to a comedic degree, The Big Sick chooses just a few scenarios to highlight the innate humor in the difference between the Pakistani and American experience. Secondly, this movie brings something revolutionary to the rom-com genre: an Asian male lead not named Keanu Reeves. More specifically, an Asian (not Asian-American) male lead. Asian men have been vastly underrepresented in movies, with their infrequent appearances often involving kung-fu, gangsters, terrorists, or other undesirable roles. They don't get to be the hero and they certainly don't get the girl at the end of the movie. I mean, Jet Li couldn't even end Romeo Must Die with a kiss - he got a hug from Aaliyah. So to see someone like Kumail not only have a non-gimmick-filled relationship with a [white] woman, but also be pursued by other women, really adds a narrative lacking in mainstream Hollywood. Asian men across the world are routinely considered romantically desirable and frankly, it's about damn time movies caught up with that fact. This may seem like a petty point, but I appreciated the appropriate cast pairing of Nanjiani and Kazan. Again, I know this is based on real life, and Kazan resembles Nanjiani's real wife, but too often we have been forced to sit through rom-coms written by men who pair themselves with women wayyyyyyy out of their league. (Think: any movie starring Adam Sandler, Seth Rogan, or Jason Segal.) The fact that both Nanjiani and Kazan looks like average people you might run into on the sidewalk only makes the movie feel even more authentic. Lastly, I feel the need to comment on the performances by Holly Hunter and Ray Romano. I have not been shy in the past about voicing my dislike of both of their voices (in The Incredibles and Ice Age, respectively), and neither of them as actors really excites me, probably because of this fact. I'll just never understand how anyone could enjoy Everybody Loves Raymond. However, I think they are both fantastic in this movie. You like and dislike them both in the exact amount you need to make this story work. And for me, the gauge of how much I like a movie is whether or not my enthusiasm can be thrown off by annoying details. The fact that I enjoyed the characters played by actors I dislike is the ultimate endorsement for how good the movie is. Final word: You're going to be hearing about this movie into awards season, I guarantee it.